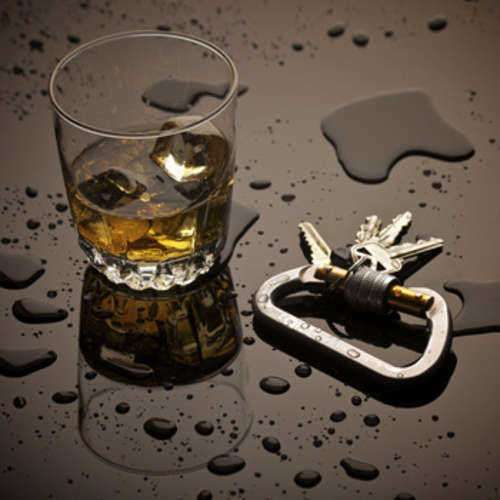 New Mexico DUI laws set forth that the individuals with a blood alcohol level of .08 or higher be prohibited from operating a motor vehicle. In addition, commercial drivers as well as individuals under the age of 21 also possess much lower levels by which they must be cognizant of. Commercial drivers are expected only to operate vehicles while their blood alcohol levels reside under that of .04 percent. In terms of drivers under the age of 21, they must remain below the blood alcohol level of .02 percent. New Mexico's Implied Consent Law also specifies the required submission of individuals to chemical tests if law enforcement officers suspect intoxication. Refusal of such a test will result in a charge of aggravated DWI in addition to the individual losing their license for a year's time. New Mexico DUI laws specify 5 levels of penalty, after which increasingly serious results are to follow. For the first New Mexico DUI offense, individuals will face jail time of up to 90 days, with license suspension lasting up to a year in addition to the installment of an ignition interlock device for the same amount of time. The driver must also attend a DUI school as well as go through an alcohol evaluation, in addition to a variable amount of community service. Alcohol treatment may also be required. The second New Mexico DUI offense will incur a jail time minimum ranging from 96 hours to just under a year's time. The minimum fine amount may be from $500 to that of $1,000, while license suspension as well as the installment of an ignition interlock device will last that of 2 years. In addition to identical remaining specifications as set forth in the first offense, probation of up to 5 years will also be included. For the third New Mexico DUI offense, minimum jail time will increase to that of 30 days, while still maintaining a maximum amount mirroring that of a second-time offender. The fine minimum will also increase to that of $750, while license suspension as well as the installment of an ignition interlock device will span 3 years. The remaining requirements will mirror that of a second-time offender as well. Both fourth and fifth time New Mexico DUI offenders will incur increasingly serious conditions as both will be labeled as felony offenses. For the fourth New Mexico DUI offense, prison time will range from that of 6 months to 18 months, with a fine minimum of $5,000, which more than surpasses the previous maximum amounts set forth. In addition, license suspension as well as the inclusion of an ignition interlock device will remain for the length of the individual's life, pending a review after 5 years have passed. Prison times increase for fifth New Mexico DUI offenses to that of 1 to 2 years, with the rest of the requirements remaining the same. The inclusion of alcohol evaluation as well as treatment will also be required for these felony offenses.